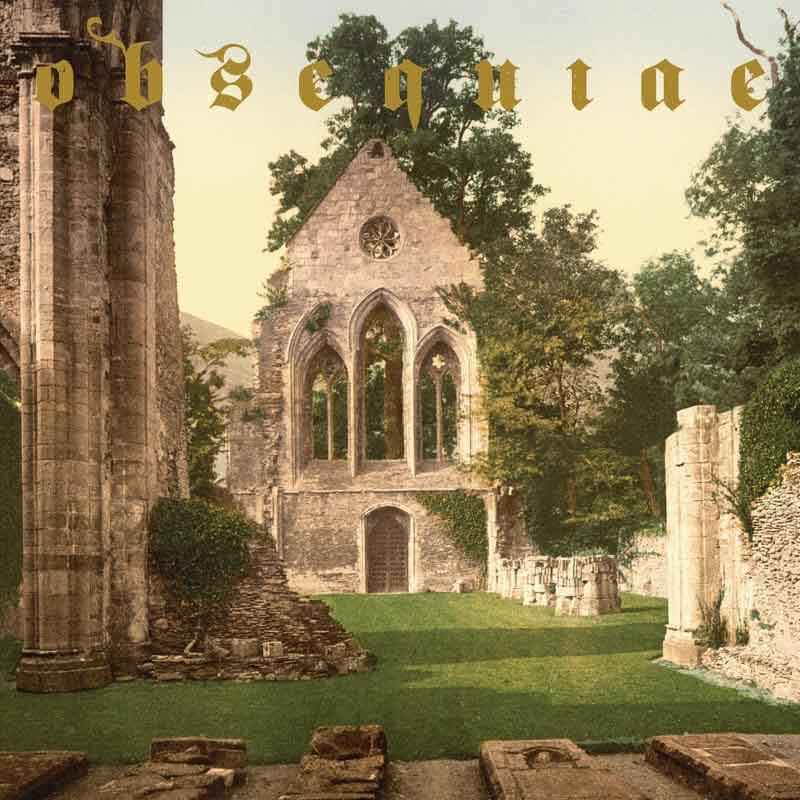 On their first album, Obsequiae made use of very simple but consistent and creative melodies in a harmony emulating that of early western music from the late medieval period. Under the Brume of Eos consisted of songs that were essentially folk-heavy metal in the vein of Primordial with black metal vocals. Each few songs an interlude played in an acoustic instrument was inserted. The material was fine for the first fifteen minutes, after that it just boiled down to a collection of songs which were merely collections of riffs. Aria of Vernal Tombs unfortunately did not move beyond this same strategy. It is important to go back to the just-mentioned style of Primordial. Primordial is one of those bands that is really ideology first, aura and image of the band first, and then music. The music itself is flat, only serving to carry a mood while the image that the listener has in mind (given by lyrics and song names — concept) is imprinted on it from the outside. Obsequiae work in a similar way, except that they take it a step further and actually make use of musical patterns that evoke the era they are using as theme. They also surpass Primordial in that in the short-term, songs are far more dynamic and in Aria of Vernal Tombs particularly coordinate wonderfully with the vocal pulse. Obsequiae could still move beyond this “cool-riff” sequence approach and give us much stronger songs — and perhaps a conceptual album extending beyond the lyrical and well into the music. Inserting interludes is only the easy way to do this. Metal bands like Blind Guardian, Rhapsody and even Morbid Angel (on Blessed are the Sick) have done this light and easy concept album arranging, each going further in different ways. Obsequiae and any band looking for using relatively simple yet self-contained and solid songs as the bricks for a strong concept album can look up to Genesis’ The Lamb Lies Down on Broadway. Until now Obsequiae have only given us scattered ideas in an obviously consistent and distinguishable language. And if music is a language of some kind, Aria of Vernal Tombs is one message in a loop of synonyms and like-words drawn from a thesaurus. Obsequiae’s new album Aria of Vernal Tombs was released on May 26th, and the album are now streaming the whole album on Soundcloud. 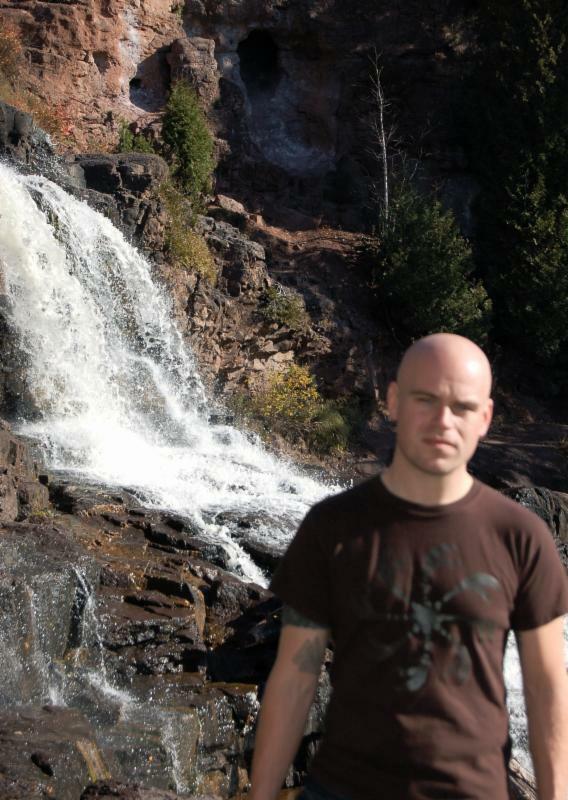 Obsequiae, Minnesota’s organic, medieval metal outfit, is preparing for the release of their sophomore LP, Aria Of Vernal Tombs, through 20 Buck Spin later this month. While the anxiously awaited album is already reaping critical pre-release acclaim, the physical embodiments of the record has been very slightly delayed, so in response, the band and label have issued another new passage of glorious audio from the platter to the masses. American Aftermath has lent their assistance in issuing In The Absence Of Light through an exclusive premiere from Obsequiae’s Aria Of Vernal Tombs. You can listen to In the Absence of Light on Soundcloud. Obsequiae’s debut, Suspended in the Brume of Eos, was featured on DMU’s best of 2011 album selections.